Awesome! So true! Love it!!! That music video was hilarious! This guy is so creative. What a fun video to watch. Anytime I want a SMILE, I watch this video. 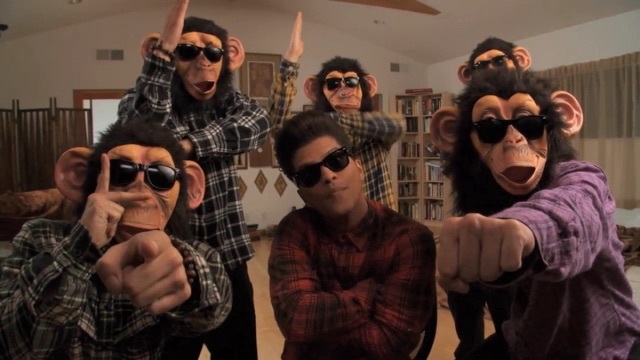 This song will make you go ape, because the monkeys act like backup dancers. Bruno is wearing the same shades that remind his fans a little bit of The Matrix.